The Harrison County Jail was originally a five day holding facility with a maximun of eight inmates, due to the State of Ohio's minimum jail standards. Years later the jail was changed from a five day holding facility to a twelve day holding facility. Being that the jail was only a five then twelve day holding facility this put a great burden on the county. After the specified time (five or twelve days) the jail would have to transport the prisoners to another county jail to be housed for the remainder of their sentence. The Harrison County Jail currently holds housing contracts with the Jefferson County and Carroll County Jails. The costs to house inmates in these facilities range from $45.00 to $55.00 a day per inmate. When a person is ordered to jail and has a sentence to serve, averaging from thirty to sixty days, this expense could get quite costly to the Sheriff's Office and the county. In 1997 Sheriff Mark J. Miller had implemented the "Litter Program" which would allow inmates to stay in our facility longer than twelve days. This program consisted of the inmates doing community service type work Monday through Friday from 9:00am to 3:00pm. The services the inmates provided included; litter control (cleaning up trash along roadways), washing emergency response vehicles for the volunteer departments in the county, mowing grass at local fairgrounds, unload trucks at the local food pantry, and maintaining the appearance of the Sheriff's Office as well as the Courthouse. Only inmates who were sentenced to local incarceration from a misdemeanor case could participate in the litter program. In return for this service the inmate's sentence was slightly reduced upon satisfactory performance of the litter program. The program was monintored by a deputy, unfortunatley in 2006 the litter program ceased to exist do to budgetary restraints. Which resulted housing inmates with sentences longer than twelve days, in another county facility once again. 1. The inmates that are housed locally could only be for non-violent misdemeanor offenses. 2. The Harrison County Jail had to undergo some renovations. Such as replacing water lines to jail, add televisions in the jail, repaint the jail, install a new heating system, and purchase additional exercise equipment. 3. The inmates housed locally could not have any serious medical problems nor any serious physical handicap. The Harrison County Jail can not provide the attention these individuals require. 4. Hire additional Correction Officers to staff the jail adequatley. Since the pilot program has been in effect, Sheriff Ronald J. Myers has saved the county a substantial amount of money housing inmates locally rather than in other facilities. The estimated dollar amount is approximately $119,185.00. 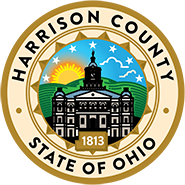 Additionally the Harrison County jail has applied for a grant from the State of Ohio, to provide funds to hire additional Correction Officers. After the two year grant expires it is hopefull that the county's economical situation will have improved enough to continue the employment of the newly hired officers. For a current list of persons incarcerated through Harrison County Inmate Report.pdf This document will be updated every week. A look at the inside of the jail. Photos Taken on 08/20/2016. If a male inmate is sentenced through our Common Pleas Court to a prison term, he is transferred to the Correctional Reception Center (CRC). Any female inmates sentenced to a prison term are transferred to the Ohio Reformatory for Women (ORW). All inmates average stay at these instutitions is 30-45 days for intake and classification purposes. Once this process is complete the inmate is transferred to their parent institution according to their classification. All inmates sentenced to a prison term through our county are brought back to court for a judicial release hearing. At this hearing the court can release the inmate for purposes of their sentence being completed, and at this time the court would then specify the terms and condition of their release. In some instances the inmate is required to complete the program at the Eastern Ohio Corrections Center (EOCC). This program gives the inmate valuable tools to assist them in functioning in todays society.